"Awesome, just as good as its physically based casino"
For over a century, the London Hippodrome building has operated as a world-class entertainment venue, hosting spectacular entertainment events and offering casino and sports betting games. The reputable establishment opened up its own online gambling website in 2013, called The Hippodrome Online Casino. In this Hippodrome Online Casino review, we will take a look at this reputable online gaming website to see if the online version of Hippodrome Casino manages to capture all of the glamour and luxury that its premier land-based parent casino offers. Continue reading to find out everything you need to know about Hippodrome Online Casino. This welcome bonus package is available to all new Hippodrome Online Casino members from the UK. In order to claim each of the three bonuses, players need to deposit at least £20 for each bonus. Players can deposit as much as they want, though the bonus cannot exceed the maximum amount stated in all of the three deposit bonuses. It’s very fair and easy to claim this bonus. There are someimportant terms and conditions that players should be aware of before putting their money into the casino. Each of the three bonuses is subject to a separate 50x wagering requirement. Players can meet these requirements by playing the majority of games on the casino. But, the contribution percentage differs for each game. Also, one bonus can be active at any time. This means that users need to wager through each bonus before proceeding to the next one. How do I claim the Hippodrome Online Casino Welcome Bonus? Regular casino members can take advantage of a number of bonuses and promotions while playing at Hippodrome Casino. We won’t go into great details as the bonuses depend on the location from which the players are gambling and can change over the course of the year. It’s best for players to check out all of the regular bonus features at Hippodrome before signing up, to get a feel of what they can expect. In addition to regular bonuses players can find out about after they sign up, The Hippodrome Online Casino also offers a great loyalty program, which we’ll fully cover in the VIP section of this review. The Hippodrome Online Casino doesn’t feature a large variety of providers but instead focuses on providing a quality selection of games from big casino software providers like Microgaming and Evolution Gaming. The Hippodrome Online Casino offers over 450 casino games, with most of them being online slots. The casino even has a couple of separate slot categories such as 3-reel slots and 5-reel slots. Of course, among those 450 games, there is a very solid choice of table games, video poker games and even other online casino games like Craps, Sic Bo, Keno and Bingo. When it comes to progressive jackpot slot games, The Hippodrome Online Casino offers a variety of popular games, including titles like Mega Moolah, Mega Moolah Isis, Major Millions and many other. Every player who signs up with The Hippodrome Online Casino automatically becomes a member of their Loyalty Club and is awarded the Red loyalty level status in the Hippodrome Rewards Club. Every time they play, players will earn Loyalty Points, which can be redeemed for free casino credits. Since this is a UK-oriented casino, their rewards system is based on British Pounds. For every £10 staked, players will receive 5 Loyalty Points. For every 5000 Loyalty Points the players redeem, they will receive £10. Players can also collect and save up points in order to reach higher loyalty levels. There are a total of six Loyalty tiers, starting with the Red tier through to the Privé tier. The higher the tier, the more rewards players will be able to enjoy. The Hippodrome live casino platform features a solid selection of live casino games. The casino offers roulette, blackjack, baccarat, and Hold’Em live casino games, as well as some lesser known live casino playing options, such as Dream Catcher and Live Football Studio. Built around software from Evolution Gaming, the Hippodrome live casino platform is presented in full HD and everything players need for a quality live casino experience. Live casino tables are available 24/7 and are open for every Hippodrome Casino member. Keep in mind that compared to regular casino games, the Hippodrome live casino games come with slightly higher wagering limits. In fact, when compared to the majority of other online casinos, Hippodrome offers some of the highest live casino limits for UK members. Players who decide to sign up with The Hippodrome Online Casino for its live casino platform can also take full advantage of the generous welcome bonus we’ve covered at the beginning of this review. The Hippodrome Online Casino members are free to choose between a wide range of payment methods. The available payment methods include credit cards, e-wallets, fast bank transfer methods and prepaid cards. UK players will be happy to hear that Hippodrome Online Casino accepts PayPal transactions. Withdrawals are faster than the industry standard and take anywhere from 2 hours to 5 days depending on the payment method. Minimum deposits and withdrawals start at £10 for the majority of available payment methods, although this can vary depending on the player location, so it’s best to register and open the Hippodrome online casino cashier to get the most accurate information on this. Players can access the Hippodrome mobile casino from almost any mobile or tablet device, simply by typing in the casino's web address into their mobile browser. Alternatively, Android and iOS users can download native apps from the Play Store and the App Store. Players who download the Hippodrome Online Casino app can enjoy a full hands-on gaming experience. They can play everything from slots to live casino games right from their mobile or tablet device. Also, nearly two-thirds of the games available on desktop are also available to mobile players. The Hippodrome Online Casino mobile app is a great choice for all players looking for an all-around mobile gaming solution. It provides them with all of the necessary features for a fully immersive casino experience. Also, it is very well designed, user-friendly and easy to use. The Hippodrome Online Casino customer support can be reached at any time of day and night. Players can contact their support staff by email, phone or through the live chat service available on the casino’s website. As is the case with all online casinos, the live chat support service is the most efficient way of getting in touch with casino representatives. When testing their response time, we were really impressed to see that it never took them more than a minute to get back with an adequate answer. The ‘Contact Us’ page of The Hippodrome Online Casino includes an FAQ section, though it only covers a couple of questions players may have with the casino. But, despite the slightly limited FAQ section, the Hippodrome Casino support service is very reliable and offers professional services without any major flaws. The Hippodrome Online Casino brand is managed by the well-known Maltese registered company Betway Limited. Hippodrome Online Casino holds online gambling licences from the UK Gambling Commission and the Malta Gaming Authority. The casino offers a very player-friendly environment, as they are secured by the latest 128-bit SSL encryption technology. This safeguards all financial and personal details the players share with Hippodrome Online Casino. The casino’s platform is certified by eCOGRA, which guarantees that all of their featured games are fair and random. Hippodrome Online Casino aims to provide a safe and healthy gambling setting in which their members can enjoy playing. Especially knowing that players are well taken care of if they need any help in dealing with gambling problems. In addition to providing all of their customers with around the clock support services, the casino also lets them use various mechanisms to keep track of their gambling habits. Players can set their own deposit limits, set up session reminders and use self-exclusion features if gambling becomes more than just entertainment. To sum up this The Hippodrome Online Casino review summary, this online casino is a great place for all gamblers, no matter their budget and experience. We say this because the casino has more than enough to attract both newcomers and high-rollers. They offer a great welcome bonus worth up to £1000, a variety of payment methods, solid selection of games and excellent mobile compatibility. 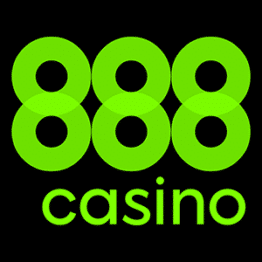 The casino also shows great dedication to their loyal customer base, as they offer very enticing loyalty rewards as well as a 24/7 customer support service. The Hippodrome Online Casino is the perfect choice for players who wish to experience the glitz and glamour of London’s Hippodrome from the comfort of their chairs. The Hippodrome Online Casino excellently portrays the luxury and style of it's brick and mortar casino, which it is best known for. We definitely recommend this online casino to every player looking for a high-quality online casino to play at. Is there a The Hippodrome Online Casino Welcome Bonus? The Hippodrome Online Casino Welcome Bonus is worth up to £1000 in free bonus money. This bonus is divided into three separate welcome deposit bonuses available to new UK players on their website. The minimum deposit players need to make in order to claim all three bonuses starts at £20 for each bonus. Does Hippodrome Casino accept PayPal? Yes, The Hippodrome Online Casino members can use PayPal to make deposits and withdrawals at the casino. PayPal is one of the most popular payment methods at The Hippodrome Online Casino, as it offers safe, quick and free transactions. Keep in mind that this option is available to UK members of Hippodrome, though it might not be available for other players depending on their location. Are there The Hippodrome Online Casino apps for mobile players? The Hippodrome Online Casino offers its players an Android and iOS mobile app they can use to conveniently play at the casino from wherever they wish. The apps are fairly standard, medium size, and offer all of the necessary mobile gambling features. Players can deposit and withdraw money, claim bonuses and play most of the games straight from their Hippodrome mobile app.